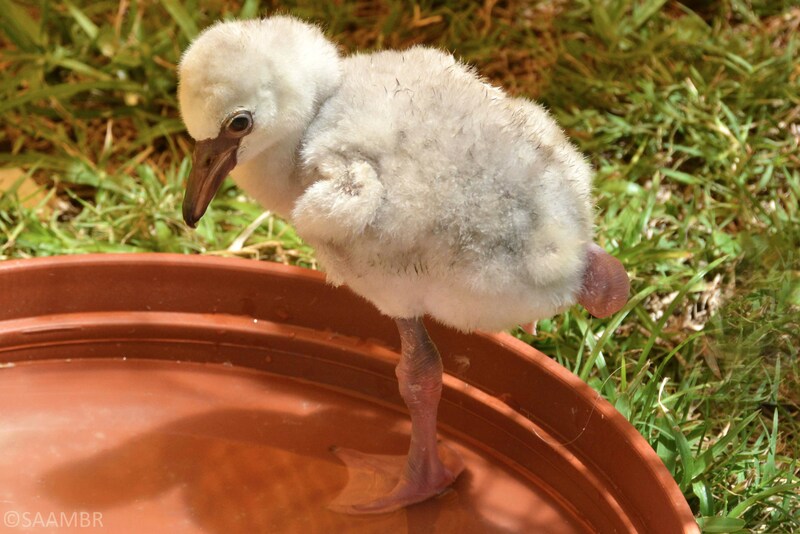 uShaka Sea World flamingo update – week one. Although it feels as though it’s been a lot longer, today marks the seventh day since the arrival of the flamingos at uShaka Sea World. 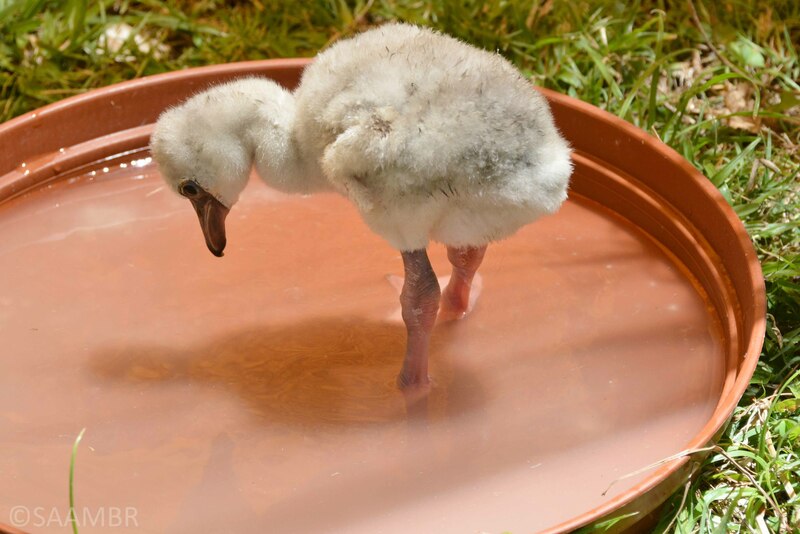 All of the uShaka Sea World flamingos are now entering, or well into their second week of life and most of them are spending time outside enjoying the sunshine, wading in their water dishes and clumsily attempting to preen themselves. Occasionally one will even manage to stand boldly on one leg. 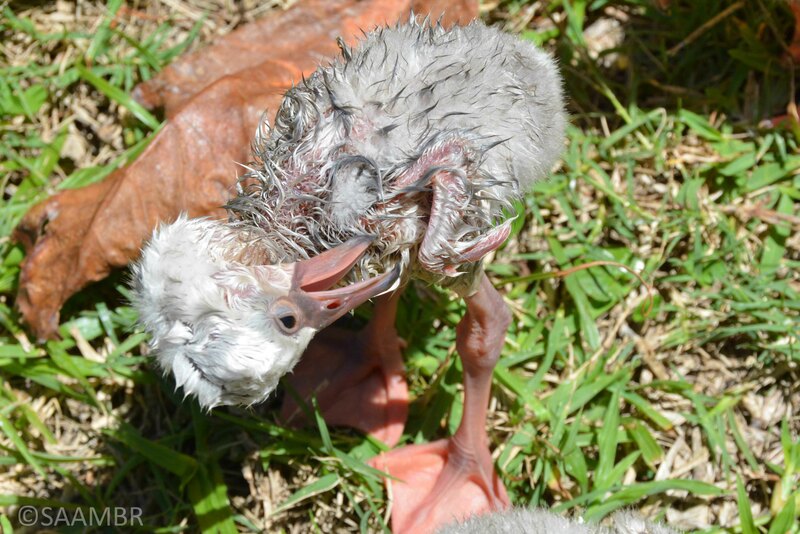 According to recognised growth charts the majority of the flamingo chicks are doing well and putting on weight at the required rate. The little ones that are not keeping up are receiving specialised care in the hospital. This past week has been an intense week and we are most grateful to the staff and volunteers who have so ably and willingly assisted in caring for the flamingos.